Whew! It feels good to be back. I go caught up on a whole bunch of stuff. But boy, do I need a drink. Good thing I have this barrel of Negronis on hand. I featured my rotund wooden beauty in a recent newsletter, although I was concerned about mentioning my Negronis on social media because I often get in trouble with auto-corrected text. 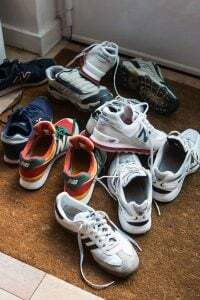 But there’s nothing to “clean up” after a few Negronis except perhaps you, and your guests. I am in love with my barrel and was delighted when a friend in Paris saw it in my newsletter and called right away to tell me she had an old barrel holding up a bookshelf in her house, and brought it by as a gift the other day. However when I filled the it with water, it became what is probably the first indoor water sprinkler, with water spraying everywhere from between the bulging staves. So I’m glad to have a “pro” model to fall back on. Still, on delivery day, I returned the favor by offering her a Negroni, which my friends, family, neighbors, and probably even the delivery people around here are going to start lining up for. That, my folks, is what happens when you have barrels are cocktails on tap. Negronis are high-test drinks, composed only of alcohol with just a few ice cubes to dilute the madness. I’ve been thinking about cocktails a lot lately. And not just because I just realized that I’m not really well-equipped at handling, well – anything, lately. Hence the need for the break. But also because mixing cocktails is like making pastries; there is a certain balance of flavors and ingredients. And once you hit that, all is good with the world. 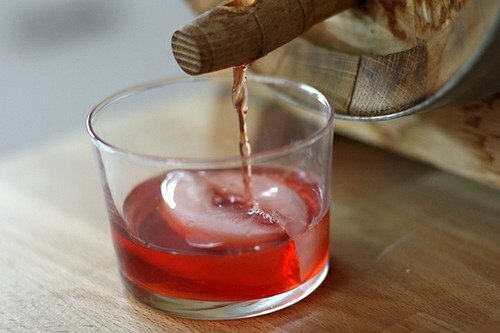 Negronis have their fans, and I’ve become one too, because the Negroni is perhaps the simplest cocktail to make and there’s no need to remember a list of ingredients or measurements; it’s just 1:1:1. And it’s the perfect cocktail to roll out your barrel for. 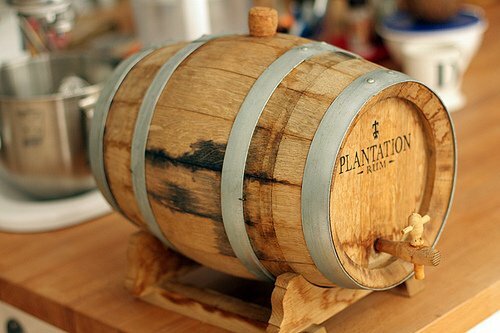 My beauty is from Plantation Rum, and is on loan from Candelaria, which I hauled home through the streets of Paris and apparently is not quite a usual sight around town. At least judging from the stares I got. And almost as soon as I got it safely inside my front door and into my kitchen, I poured my three bottles of liquor into the barrel a couple, then waited a few months to start letting the drinks trickle out, tasting hourly daily, to check the results. The verdict? Delicious, and potent. Proceed with caution. I used Campari, Punt e Mes (sweet vermouth) and Citadel gin for the batch I aged. 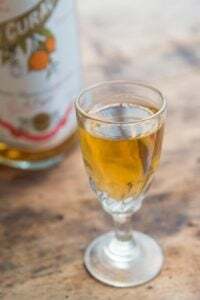 But when I was at a local liquor store, the woman showed me some variations on these, such as a bitters made by Dolin that is a bit more subtle than Campari. So feel free to use brands that you like. Negronis don’t need aging – if you wish, just mix one up in a glass, and enjoy. To barrel-age Negronis: Pour 1 part gin, 1 part sweet vermouth and 1 part Campari in a cedar barrel and shake gently to combine. Let age for a couple of months. One a side note, I looked far and wide in France for an aging barrel to purchase because I was lent this one. I checked out a lot of online resources, like Ebay.fr and LeBonCoin, as well as the BHV department store. Because nothing seems to be easy – hence the need for cocktails (and une pause) every now and then – I’ve had to do some work on the vocabulary for “barrels”, which was a bit of a challenge. Few, if any, cooperages in France seem to make small barrels. And it’s important to know who made the barrel as I was advised by a distiller in France not to get one made in China because they are often treated with – well, we probably don’t want to know. (And even French people make goofs, including the waiter in a restaurant in Provence that I had to explain to the other night what tapenade was made of.) I am still kicking myself for not buying a barrel I found in a housewares store near Chablis that they had leftover from buying the stock of a previous store (#nitwit). But am determined to add more to my barrel collection. Or collection of tonneaux. Or tonnelets. Or fûts. Might not the barrel you received as a gift be usable once the staves have absorbed enough moisture to expand and form a seal against one another? One, you can age your cocktails more efficiently (not to mention cheaper) by putting them in mason/la parfait jars filled to the brim with both cocktail and oak chips. You can get oak chips in a variety of toasts from Brouwland (http://www.brouwland.com/en/, search for ‘oak chips’), but Simon at La Cave A Bulles on rue Quincampoix can order them for you as he’s a reseller. Plus he knows everything about beer, and is way more fun to talk to than the customer service cretins at Brouwland. Or, you can buy tonneau from TomPress (dunno if links will work, but here you go: http://www.tompress.com/CT-1790-tonneaux-cuves-bonbonnes.aspx) but it is VERY VERY IMPORTANT to get a NON-LINED barrel. Lined barrels are, well, lined with beeswax or food-save wax and are for decorative purposes only. Unlined barrels are more finicky as you have to continually fill them with water until they swell and become watertight, but it’s the unlined barrels that will give you that oak character. FYI for my moonshine I age it in la parfait screwtops with 20 g chips per liter of spirit. Wonderful to see (read?) you’re back! La Pause was long, but I have been more amazed at your prodigious output all these years I’ve followed you; quite understand a break of sorts. (I figure you were busy on that new book.) A toast to you. Another great blog! I sure like your writing David Lebovitz!!! Ciao & welcome to the world of the Italian National Cocktail! A barrel is a big commitment…to the Campari, to the gin, to the vermouth. We’re much sluttier here in Italy and like to experiment. And if you get a chance, try Antica Carpano vermouth… darker, earthier, spicer. Hi David, Welcome back. Hope you got your assignments done and you got top grades. Well, within the space of three weeks or so I have been told three different recipes for negroni. All sound nice if you like gin. Perhaps its a sign. I hated the botanicals when I tried it as a youngster. 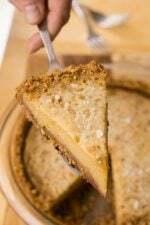 Perhaps with age, tastes have matured and old memories will be replaced with new. 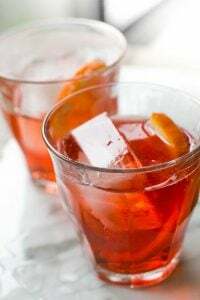 I have been drinking Negroni for the past 20 years, they are my absolute favorite drink. Unfortunately, I can only drink one, sometimes two but wish Icould drink more, the flavor is just so delicious! I wish I could have them on tap like you…but I would not get anything done! Welcome back! I’ve missed your posts! These are so popular in London right now. I personally find them a little too bitter when made with Campari so will be searching out some alternative bitters to use! Oh, I so need a barrel now. I’ve been playing around with Negronis lately too. I’ve been switching out the Campari for Cynar, the artichoke based bitter. It’s almost worth making for the name alone: Cyn Cin. My vermouth of choice for a Negroni in Antico Formula Carpano. Very rich and fruity. And while an orange slice is traditional, I usually put in a grappa soaked cherry. Sounds great. I’ve seen people use Aperol instead of Campari but I don’t like it. Instead of Cynar, I have used Fernet Branca but I still think a very traditional Negroni is best. I don’t use any fancy gins either, Beefeater is best for me. oh man. Now I have to go find a barrel. So, that gift barrel? Soak it in the tub for a while to see if it will seal up when enough water has absorbed. If so then all you need to do it keep it full on your concoctions to keep the wood swollen (if not your head from the contents of the barrel) and you will be good to go. a votre sante! Very interesting; though this drink isn’t for a lightweight like me! I learn so much from your posts, and look forward to the next. I’m very fond of Negronis and their kissing cousin the Parisian Americano (1:1:1 Campari, Sweet vermouth, Dry vermouth + orange slice). A few years back I made the discovery of Antica Formula vermouth, which so far has proven the penultimate vermouth for my Negronis. A joke…what do Negronis and womens breasts have in common? One is not enough, and three is too many. Wow! This is a whole new world! I’ m new to your web world and am enjoying it very much. Great food and drink are equally essential to my life. My husband and I are spice freaks who have chosen to earn our living hunting spices wherever they grow – believe me it’s a great job. I would love to send you some of our spice blends because I just know that they will rock your culinary world. If this idea appeals to you please let me know and we’ll work out the details at your convenience. Continue having an interesting life. A slight variation onf “Unusual Negroni” recipe by Charlotte Voisey in Jason Wilsoln’s “Boozehound”. Hendrick’s was used originally. I use Old Tom gin, Aperol, Lillet Blanc, half orange wheel. I have no intention of putting this on tap myself, but I’m curious about what a barrel does to a Negroni. Campari is such an old fashioned drink here, served just with orange slices and ice. I bet it started as a a cheap way to drink a negroni. I love Negroni’s and have experimented with different versions of everything. I don’t know if you can get it in France but Quady makes a killer sweet vermouth called Vya. My latest gin of preference is Plymouth and I do like them made with Aperol in place of the Campari. For the bitters I love a drop of the Boyajian pure orange oil which is wonderful to use in many things but a ‘little dab ‘ll do ya”. Coming to Paris in a few weeks and will be on the lookout for you around town. Also looking forward to the duck confit at Chez Josephine again. A friend of mine told me her husband said she was an “angry drunk” when she drank her beloved Negroni. He suggested she switch out the gin with vodka. It worked! Actually a vodka Negroni is quite good if gin does not sit well with you. but I defer to you. Sweet before 5, dry after…very chill, straight up, with a twist…set you free! Wonderful. I remember almost 30 years ago sipping negronis in the bar of the Gritti Palace in Venice. It’s still a great drink! Have been a Campari drinker since I started drinking. I like Vermouth 1/3 sweet and 2/3 Dry. Have never had a Negroni but will now. I am a wine/food nut and enjoy your writing. David, I adore you as much as I do a Negroni, but I feel the need to respond to your description of Punt e Mes as a “sweet vermouth”, especially in the context of this classic cocktail.. 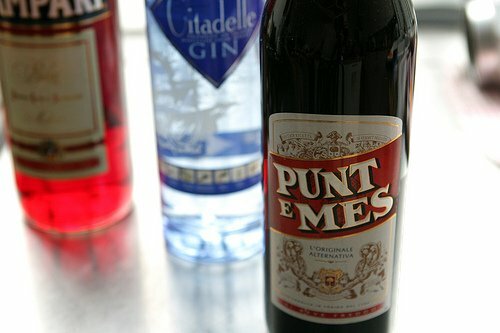 The strong bitter element of Punt e Mes makes it unique, and quite unlike any other vermouth, IME. I find it is closer in flavor to Campari and it actually makes a nice substitute. Similarly, Cynar. FWIW, both are nice ways to enjoy a Negroni-ish without the chemical red dye. I will add to the rec’s here for Carpano Antica vermouth in the Negroni. Also Dolin, which is quite a bit less sweet. Welcome back! I’ll drink to your return and things that comes in barrels. 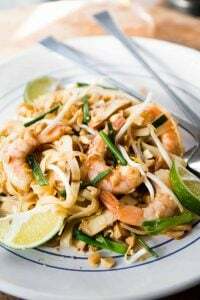 It looks amazing, I’m sure the taste is divine no matter what the preparation. for writing such a great blog! You must have been a sight on the Metro with your barrel! Whenever I hear “whisky barrel” I’m reminded of something that happend to myself and hubby about 30 years ago. We bought a whole, full-sized oak whisky barrel from a local garden store, intent on cutting it in half and filling the halves with dirt and flowers. It was a heavy sucker! When we got it home and got the “cork” out it reeked of whisky. We got almost a gallon of whisky out of that barrel and it was pretty decent. So for around $15 we got two really nice oak “planters” and a gallon of good whisky. I think a negroni is a splendid summer drink, but nothing can replace the dry martini on these chilly evenings we are subjected to in Paris at the moment. Glad you are back! 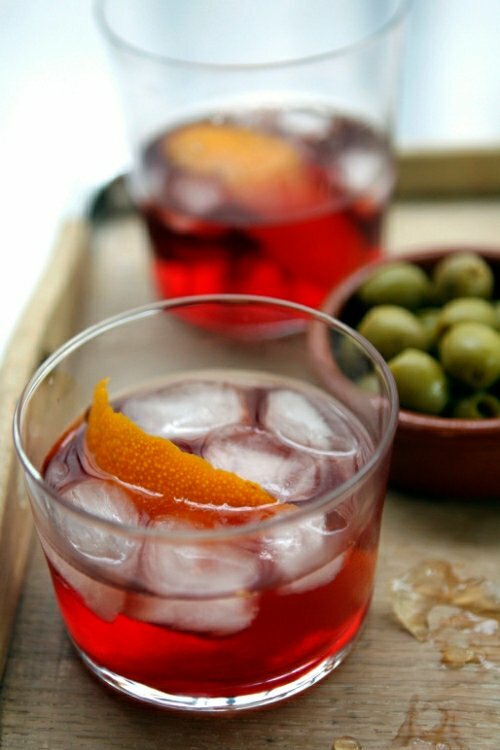 a slash of club soda makes the Negroni better or some champagne…..
My favorite last summer refreshing drink! 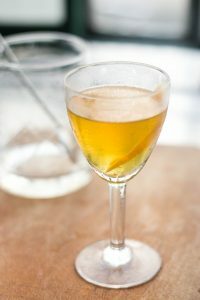 Love you and your blog, so glad you’r back, but have you tried Noilly Pratt dry Vermouth made in Marseillan south of France , makes a perfect dry martini and would also work for a Negroni. Hi David, sorry to post this here but I just got back from a surprise trip to Paris after years of reading your blog and books and dreaming and I had to tell you. I found out the night before we were leaving (to get the Eurostar at 4am) and I stayed up all night on your blog, revising the places I wanted to go. The trip therefore entailed us cycling from one of your restaurant/food shop recommendations to another (with the amazing help of your app) and it was the best 3 days, just incredible. Everything blew my mind from A l’Etoile d’Or (she has so many clippings of you! ), 6 Paul Bert (wow! The suckling pig!) to Breizh Café (we went twice!). I have never spent so much and been so happy about it. I brought back a whole suitcase of stuff including chocolates from A l’Etoile d’Or and Jean-Charles Rochoux, caramels and pâtes de fruits from Jacques Genin, cheese and butter from Pascal Beillevaire and baguettes and pastries from La Patiserrie and Blé Sucré. Really I wanted to thank you for opening up this wonderful city to me which had always felt so daunting before. Considering I live so close in London I plan to make this a yearly trip as there is still so much I didn’t taste and do. You’re an inspiration. Thank you. Hi David, I was going through Daveed withdrawals while you were on ‘la pause’ so I picked up a copy of The Sweet Life in Paris. I know I am behind the times but I had not read this book of yours. I enjoyed it immensely. Actually guffawed! Anyway my husband and I will be in Paris in November and thought we could ‘meet up’ for dinner? Just kidding. Good to have you back. ooo, la, la…sounds nice, but i don’t know where i would get a barrel. I’ve recently had a Negroni made with bitters and it was amazing! I’m hoping that soon we’ll move to a bigger apartment where I have slightly more room and can experiment with barrel aging, though I might be “sampling” cocktails for lunch – so it could be dangerous! Absence makes the heart grow fonder. I’m so glad you’re back! Its odd how much I missed your posts. Welcome home. is this what you are searching for ? The price of 109€ seems reasonable compared to 180€ I’ve seen elsewhere, and it is said to be suitable for aging alcohols. 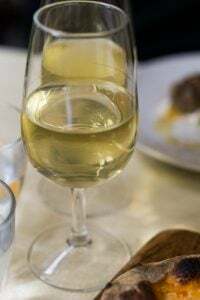 A lot of barrels are said “for wine pockets” and are not suitable to contain directly some alcohol. At least this one does :D.
Gosh I’m glad your back!! I was really going through “David” withdrawals!! Love the Negroni’s. We use a large mason jar with wood chips instead of a barrel. It was much easier to find. =*) So glad your back!! You really were missed! Welcome back! 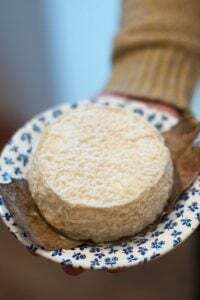 Can I just say that picture of a goats’ cheese you chose to leave us with made me drooooooooooooool! Ingrediants make a big difference with Negronis. 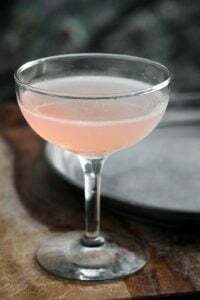 I make mine with Campari, Antica Formula vermooth and Portland Aviation gin. 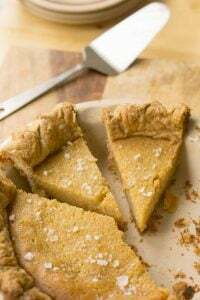 Plus the citrus peel. I just love the swell labels on your bottles! Looks like they’re straight out of Mad Men.